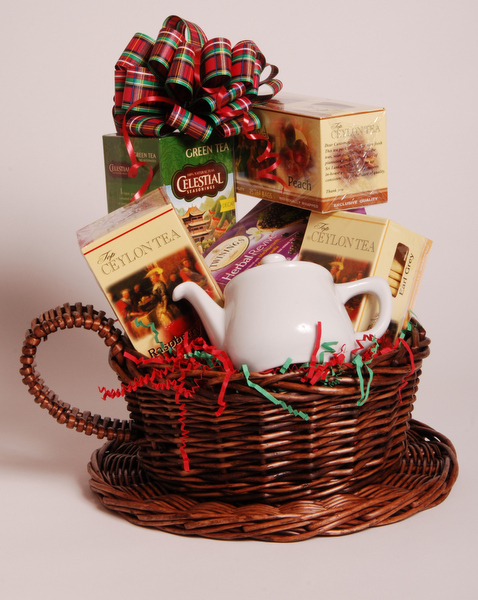 Assorted flavored teas, a personal tea pot nestled in a woven wicker cup basket. House warming or just to update the old; our Kitchen Caddy is everything you need. 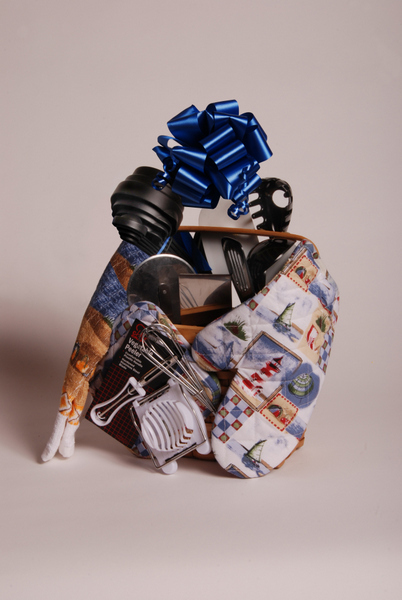 Contents: Dish towel, Oven mitt, Potholder, Vegetable peeler, Egg slicer, Pizza cutter, Cookie spatula, Measuring cup, Spatula, Wisk and more. 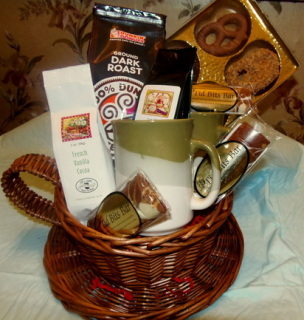 Delivered in a woven wicker coffee cup containing two coffee mugs, a pound of delicious ground coffee, two hot cocoa, a dozen gourmet chocolate sourdough pretzels and several of our famous Tid Bits Bars. 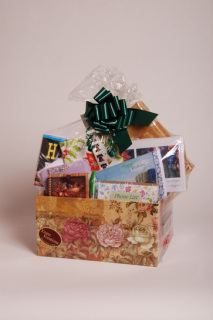 Do you need a gift and cannot make a decision or just not sure what to get ? 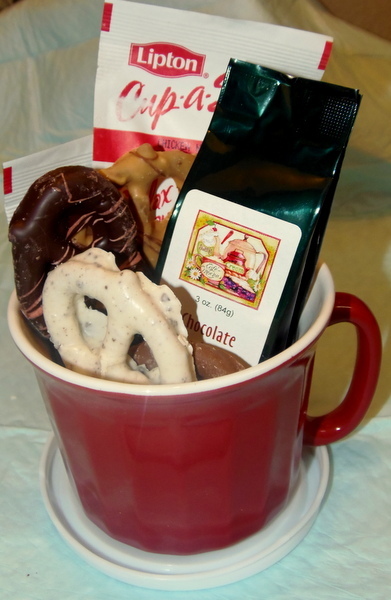 A Pretzel Princess Gift Certificate is the answer. Tell us the amount, the recipient's name and we send it right out so you always make the right gift choice.